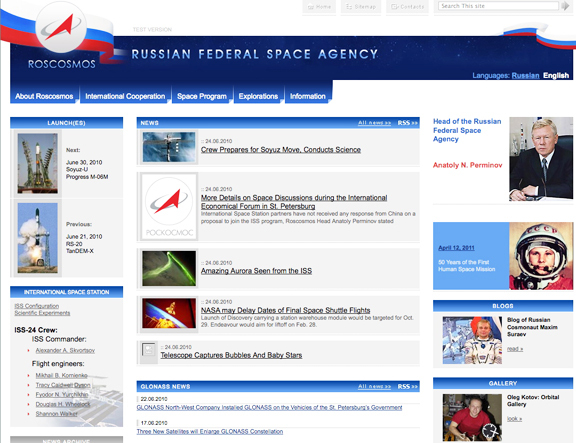 [SatNews] On June 19, during the International Economical Forum in St. Petersburg, Roscosmos and Arianespace signed a contract which cover 10 additional missions of Russian Soyuz-ST rocket from Guiana Space Center (CSG). The contract implies additional order of 10 Soyuz-ST’s and relevant support for the period up to 2016. Some launches of the Russian rocket will serve for deployment of European navigation system Galileo. In total, 24 Soyuzes are to fly from French Guiana. The two new members to Arianespace’s launcher family – Soyuz and Vega – will start their service at the Spaceport beginning in 2010-2011. With the three launch vehicles in full operation, Arianespace is targeting a flight activity of approximately 10 missions per year from French Guiana — composed of an average seven Ariane 5 flights annually, plus two Soyuz missions and a Vega launch. 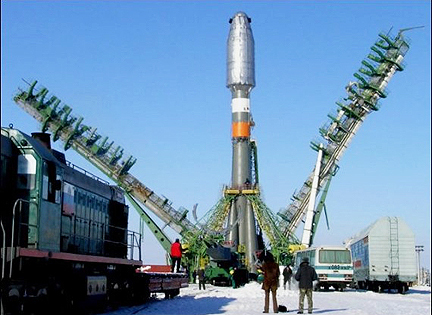 Soyuz-ST is a modification of the Soyuz-2 three-stage launcher, with Fregat upper stage, adapted for the CSG’s conditions. CSG’s Soyuz launch site combines the proven design elements from the long-existing launch site at Baikonur Cosmodrome with satellite integration procedures that are in concert with the spacecraft processing used for Ariane missions. Located 12 kilometers northwest from the existing Ariane 5 launch complex, the new Soyuz facility extends the Spaceport’s operational zone further up the French Guiana coastline. The assembly of Soyuz vehicles is handled horizontally in the launcher integration building, maintaining the process used for the more than 1,700 Soyuz missions performed to date.